Foodies are spoiled for choice with a variety of restaurants, bistros and cafés in Limerick. From hearty pub grub to home-grown Irish cooking and lively ethnic food, there is an abundance of places to eat! Dining out in Limerick`s restaurants offer cuisines from all corners of the globe: Italian, Asian, European, Irish and American cuisines, where quality and standards are impeccably high with fantastic mouth-watering foods sourced locally, ranging from fresh seafood to the highest quality in steaks, lamb and beef. Whether it`s a Guinness, a Cosmopolitan or a cold beer, you`ll find plenty of stylish bars and cozy pubs in Limerick to suit your tastes and for lively night outs, a few quiet pints, a triad session or a bit of post match banter, Limerick has it all. 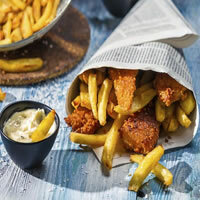 Modern Irish cuisine is served in a thatched cottage which dates from 1826, the year the first Lord Dunraven built the cottage. Elaine and Wade Murphy welcome people each evening Wednesday through Saturday at 6 p.m. for dinner, and on Sunday at 3 p.m. for late lunch. Listed in the 2019 Michelin Guide on Ireland. The award-winning Acorn Restaurant serves superb cuisine, prepared from fresh local Irish produce in luxurious surroundings. Prix-fixe menu, four-course lunches begin at €28. 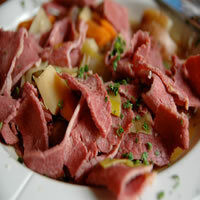 Bobby Byrne`s is located on the corner of O`Connell Avenue and Wolfe Tone Street in the heart of Limerick City. Established since 1963, the restaurant is steeped in tradition and full of character. Open for tapas, breakfast, lunch, and dinner. A family-friendly, classy bar offering an amazing food menu in addition to superb tea/coffee and alcoholic beverages. 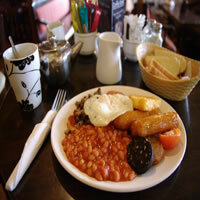 Full Irish breakfast starts at €9, open for lunch and a la carte light bites in the evenings too. Uniquely situated on the banks of the Shannon River, The Curragower Bar is in the heart of Limerick`s Medieval Quarter. Lunch and dinner are served here; the food is as exquisite as the views as King John`s Castle! Once a famous coach stop and forge, this magnificent pub is situated on the main Dublin road (N7) and dates back to the 17th century. The restaurant serves breakfast, lunch and dinner seven days a week, and has a children`s menu. Sisters Liz, Caroline, and Maeve Phelan run this restaurant, which has been recognized as one of the Top 100 Restaurants in Ireland by John and Sally McKennas` Guides. It is located in a beautifully restored, 19th-century building, with wooden floors and exposed bricks. The modern grill menu is recommended; try the 8 ounce Irish fillet steak! Traditional bar with great quality draught beer, boasting a traditional restaurant with a chef who values wholesome Irish produce cooked to perfection. Vegetarian (and to a lesser extent, vegan) options available. Maigue, named for the nearby river, is the formal dining room inside the Dunraven Hotel. All-Irish recipes and ingredients are served for dinner; the prime rib trolley is most recommended. Bar lunches also served Monday-Saturday. Dining at the award winning McLaughlin`s Restaurant at the Castletroy Park Hotel is a memorable experience with food prepared by the hotel`s executive chef. Also open for afternoon tea, brunch on Sundays, and barbecues on weekend afternoons in the summertime. The Carriage House was once the stables of Adare Manor and is now repurposed into one of the most luxurious food and drink experience you will enjoy while on your trip. Reservations can be made online at www.adaremanor.com/dining. Family-run restaurant specializing in home cooked food and fresh vegetables. Specialties include steaks, traditional Irish and Italian cuisine as well as vegetarian dishes. The Oak Room is the most opulent dining room at Adare Manor, and all of the interior rooms are oak-paneled. You can enjoy your prix-fixe dinner (€110) either indoors or outside on a glass terrace. Reservations can be made online at www.adaremanor.com/dining. The Pavilion is a unique bar and lounge located on the campus of the University of Limerick, open each day from 8 a.m. to 9 p.m. With its soft furnishings and panoramic views, it offers a comfortable place where visitors can relax all day. Just across People`s Park in Pery Square, Sash is a modern bistro inside the boutique hotel No. 1 Pery Square, and serves dinner every day of the week and lunch on the weekends. This modern Irish restaurant, located inside a thatched cottage dating from the 1820s, changes its menu frequently but always serves fresh food from locally-sourced ingredients grown and/or raised in southwest Ireland. Lunch and dinner are served Tuesday-Saturday, and brunch on Sundays until 3 p.m.